On the Divinely Intuitive™ Business Radio Show, Intuitive Business Coach and “Irreverent Rev”, Anne Presuel talks with spiritually-oriented, conscious entrepreneurs who are building their businesses - abundantly - by using their healing gifts and intuitive abilities. You will get their tips on the healing work that inspires them: how they got started, what keeps them going, and how they stay connected and create abundance in their lives and work. If you’re a Spiritual Entrepreneur, Rev. 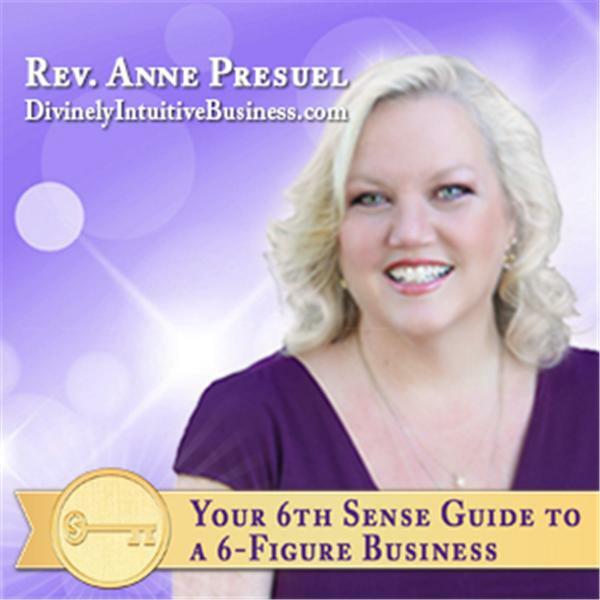 Anne will help you “Get your Divine ON!” as you get your sacred gifts out into the world in co-creation with the Divine, creating a sustainable business through your thoughts, words and actions for a life that is truly Divinely Intuitive™. In this episode of the Divinely Intuitive™ Business Radio Show, Rev. Anne Presuel, Irreverent Rev, will be interviewing Maddie Brown, CPA, The Entrepreneur's CFO. Maddie Brown, Certified Public Accountant (CPA), has 30+ years of working with small businesses. She has a passion for helping business owners fulfill their dreams and create the real business they were meant to share. Her services save time, stress and money and give people wings. By helping business owners fulfill their place, Maddie fulfills hers. This is her gift. Maddie will be teaching us her 5 Simple Steps to help you make more money, have the business you've always wanted, reach financial freedom, and live out your dreams! Anne and Maddie will be taking your calls and questions, so call in! Click here for Maddie's special gift for listeners: her eBook 5 Simple Steps to Make and Keep More Money in Your Business. Janet Roper, What Is Your Pet Saying That You're Not Hearing?